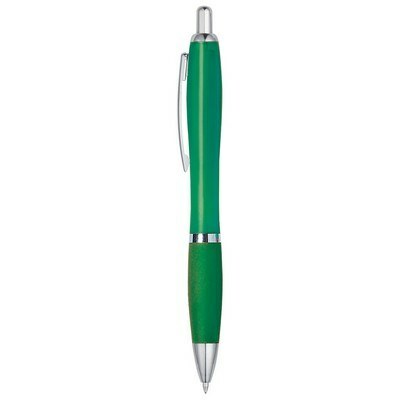 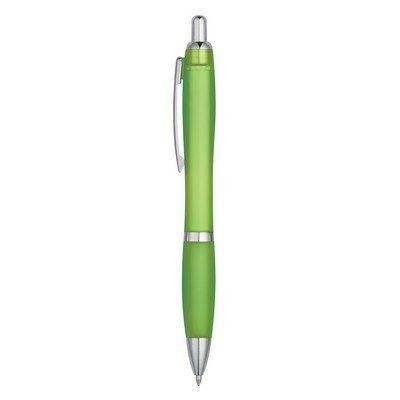 Our Satin Pen features variety of color options and allows adding brand logo and message for Brand Recognition. 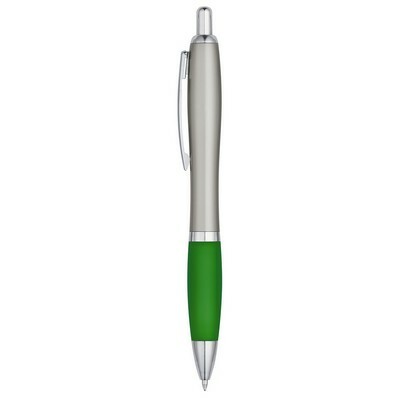 They will surely remember your logo with an interactive promotional pen like the Satin Pen! When it comes to using pens for brand promotion, you don't want your logo to blend with the rest of the pens in your customer's pen holder. That is where our unique styled personalized pen comes into picture. 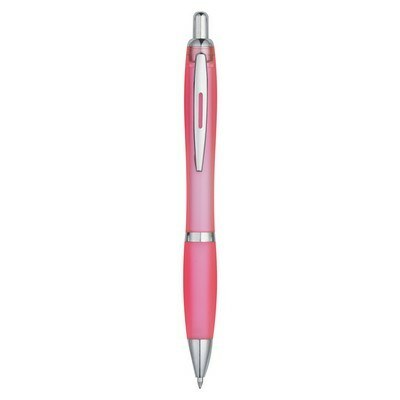 This click action pen features a fantastic design which highlights your brand logo and dazzles your recipients. 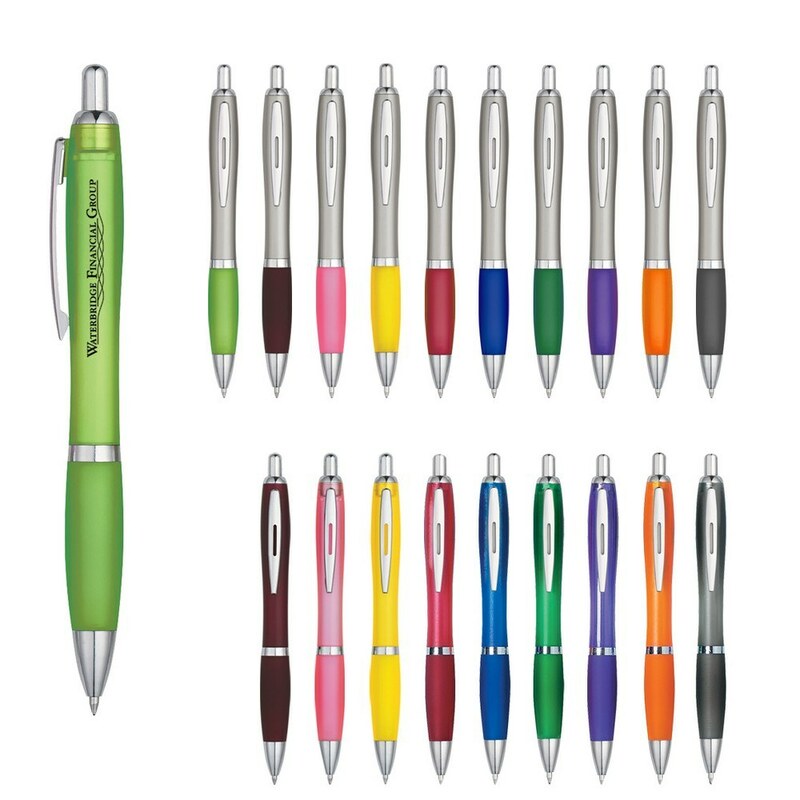 It offers an affordable way to promote your business and comes in a wide variety of color combinations to choose from. 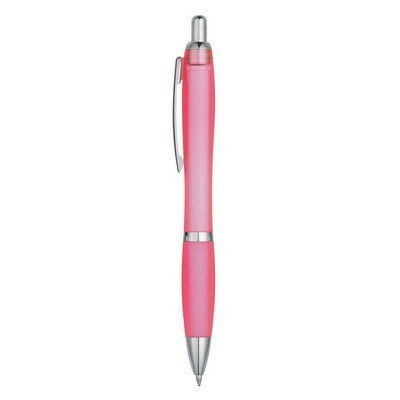 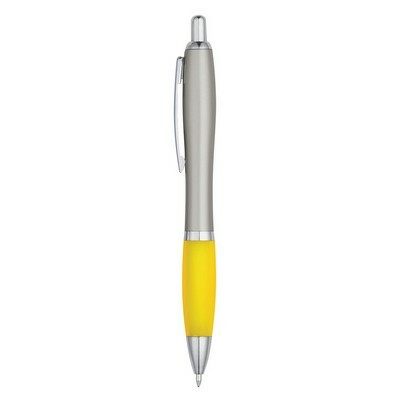 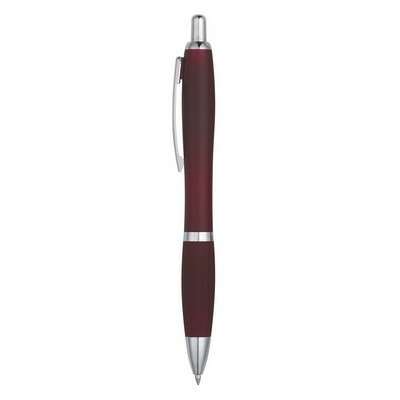 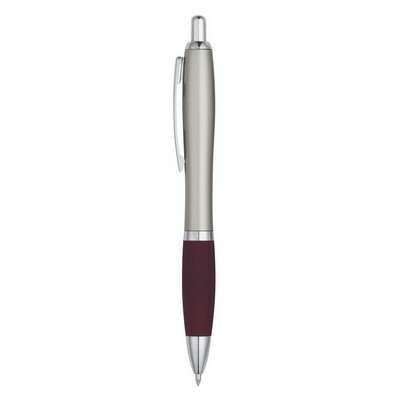 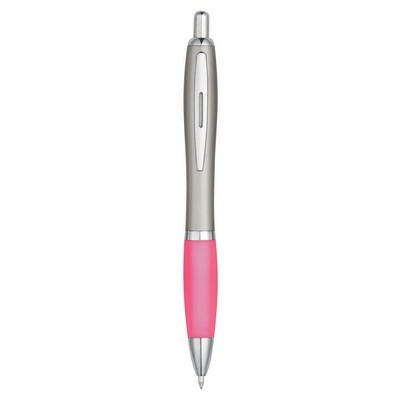 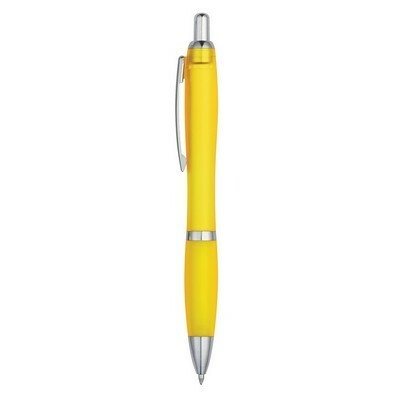 It features satin silver barrel and matching rubberized grip for comfortable writing. 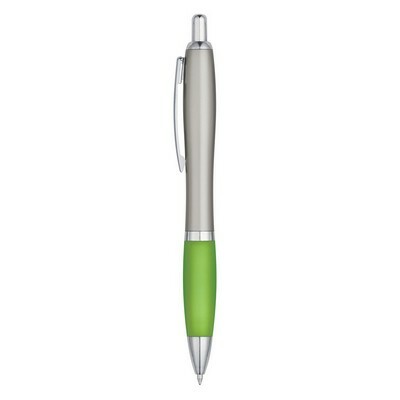 Print your brand details on the pen for maximum exposure.